For each company there is a user that has the possibility of creating and managing additional accounts to register incidents. Usually that user is the one that purchases the licenses, or the first user that was enabled in our Support site. 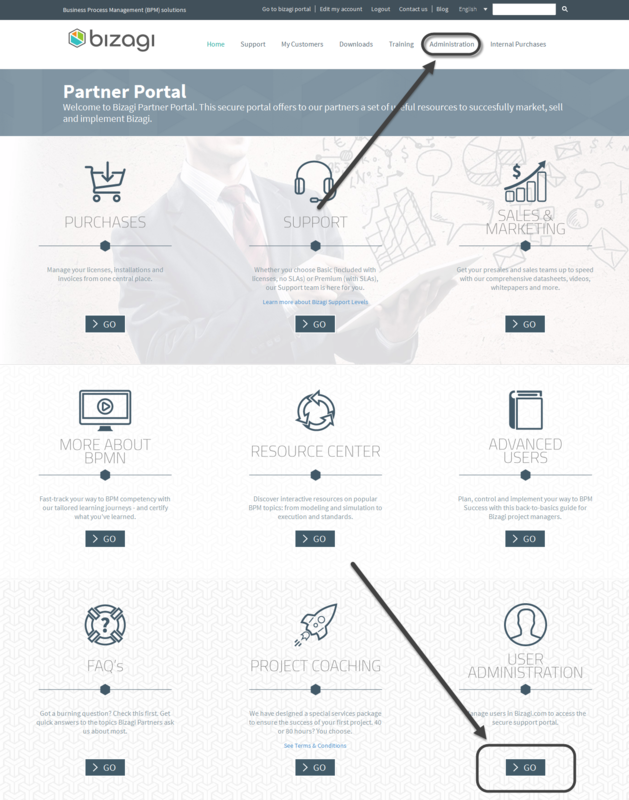 There you will find a list of enabled contacts that can access the support portal. There, you can add, edit or delete (deactivate) them. To create a new account click on the New Contact button. 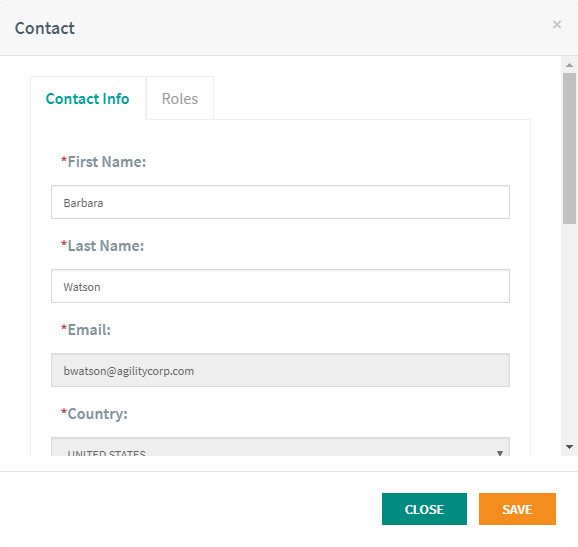 This will show a pop-up where you can type the user's basic information and assign them different roles. Information such as location and phone number will be loaded from your company's information. 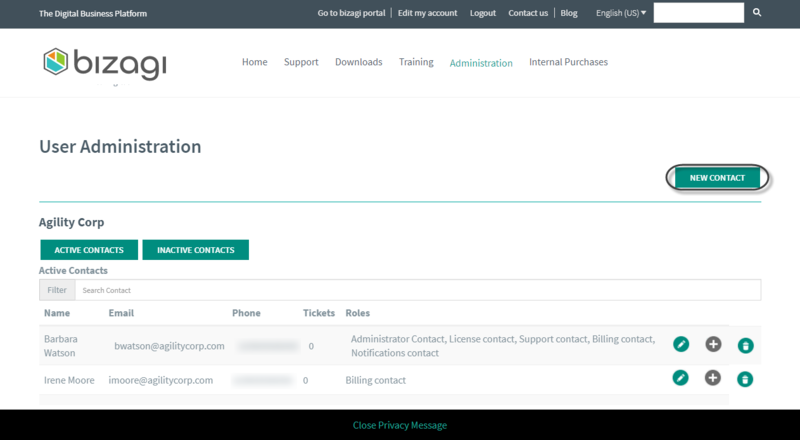 •Administrator contact: manages contacts (users) through the Administration menu and can be selected as contact for documentation and invoices. •Support contact: creates tickets and can access the Support menu. •Billing contact: has access to your company's purchases and can be used for invoicing purposes. •License contact: has access to your company's and trial licenses. To edit the accounts click on the edit icon. A pop up will appear with the user's editable information. Edit the fields you wish to change and click on Save. To deactivate an account click on the delete icon. The portal will show a confirmation pop up, click on OK to deactivate the selected user. Now the selected user will be added to the inactive contacts list. To view your inactive contacts click on the button. From this view you can activate any of the contacts by clicking on the plus icon. A confirmation message will be displayed, click on OK. In order to reassign your tickets or purchases, click on the plus icon. A pop up window displaying the available options will be shown. If you wish to move tickets from one user to another one, tick all tickets you want to move and then head to the bottom of the pop up window where you can select the other Support Contact you want assign the tickets to. In order to make the changes effective, click on the submit button. If you wish to reassign purchases to another user, click on the Movements tab. You will be presented with the following options. Tick the Move Purchases and Bizagi Keys option, and select the user you wish to reassign them to from the drop down list. Please bear in mind that only Administrator Contacts will be available for selection. Finally, click on submit to effectively perform the reassignment.